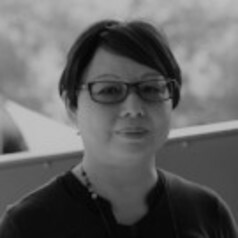 Dr Christina Ting is a postdoctoral research fellow at the Social Innovation Research Institute and was an adjunct research fellow at the Centre for Urban Transitions, Swinburne University of Technology. With diverse academic background in geography, social sciences and environmental sciences, and having worked in educational and community outreach areas that also involved school and community education, she is interested in pursuing further in the areas of culture and consumption behaviour among migrants and population groups in the context of sustainable living and environment. Christina was awarded her PhD (Social Science) in 2016 from Swinburne University of Technology and holds double master degrees –Master of Science in Environmental Sciences and Policy from Central European University, Budapest, Hungary and Master of International Development and Environmental Analysis from Monash University, Australia. She also holds a Diploma in Education from the Nanyang Technological University, Singapore and a Bachelor of Arts (Geography) from the National University of Singapore. She has worked as a senior manager at the PUB, Singapore's national water agency and a teacher in Singapore. She is a member of Eastern Regional Organisation for Planning and Human Settlements (EAROPH) Australia Inc. and a lifetime member of the Geography Teachers Association of Singapore.